An offer is a modifiable agreement given by one party onto another with the main goal to be accepted. Agreement samples of this kind are best documented, to be used as reference throughout the entire process prior to making final settlements. 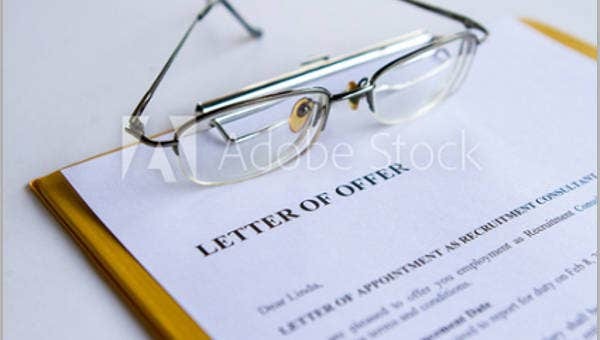 Offer letters take the most common form of this document. You may also see Letter Samples. Offer letters are given for so many different reasons. We discuss some of the most popular types in this article. 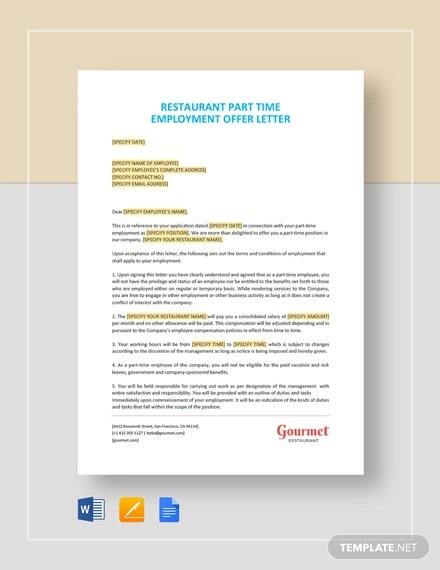 Our offer Letter Template choices are all editable to customize to your message and its pertaining details and are easy to print out or share in PDF format. Best of all, our templates are absolutely free and accessible throughout the day. 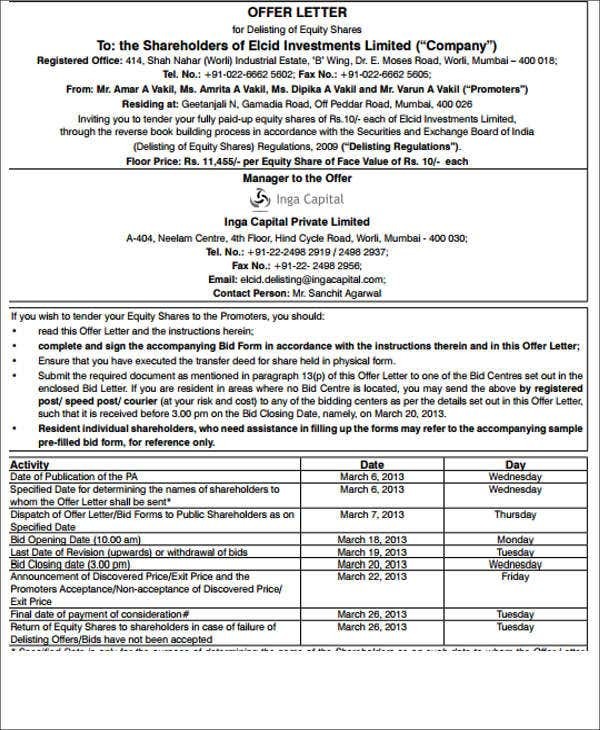 Simple offer letter. 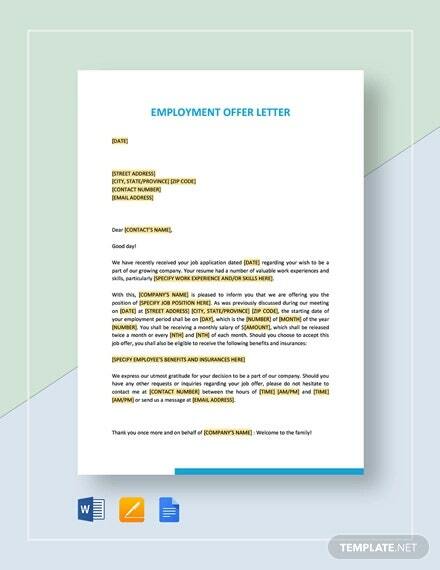 This type of offer letter is the most versatile as it can fit in a corporate setting or in a casual setting. 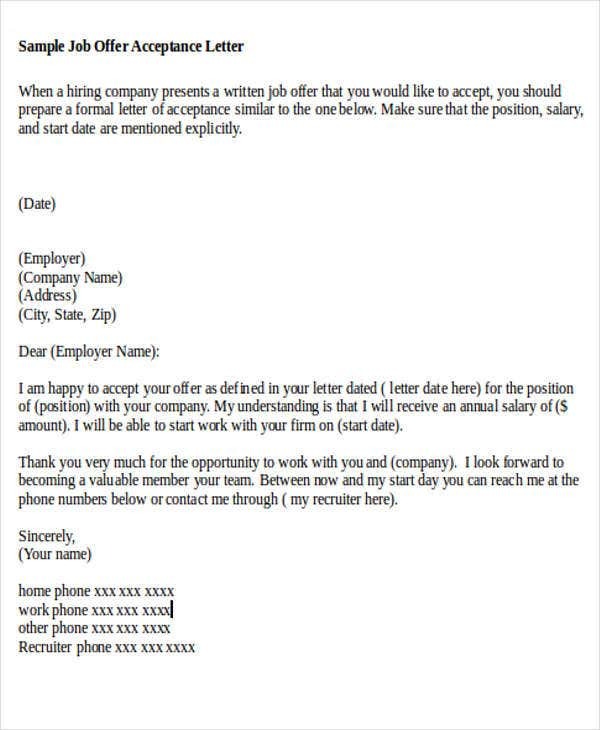 Simple job offer letter. 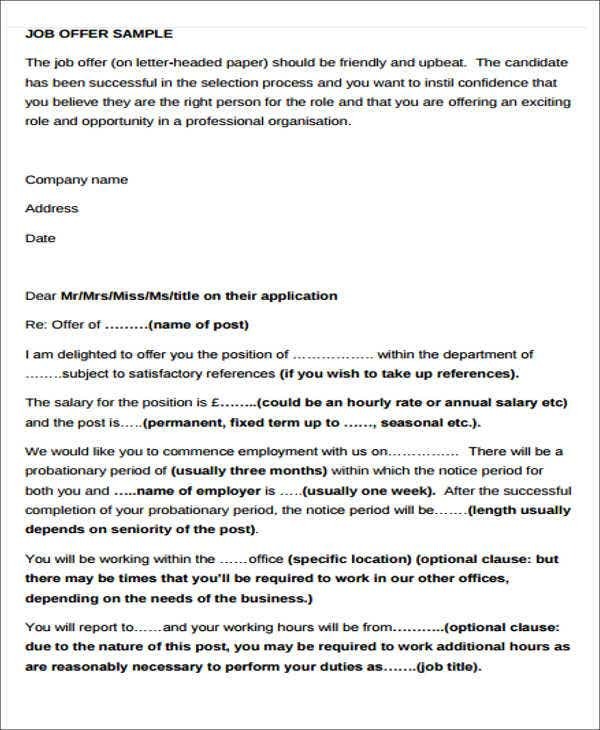 This is the type of letter that most companies use when offering a prospective employee a job in the organization. This letter entails specific information such as compensation, benefits, the organizational structure of the company, and the official start date of the employee. 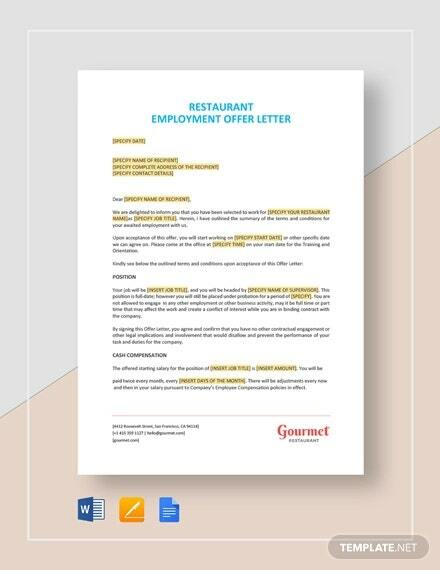 The templates for this letter is similar to the Appointment Letter Template as they serve the exact same purpose. Simple real estate offer letter. 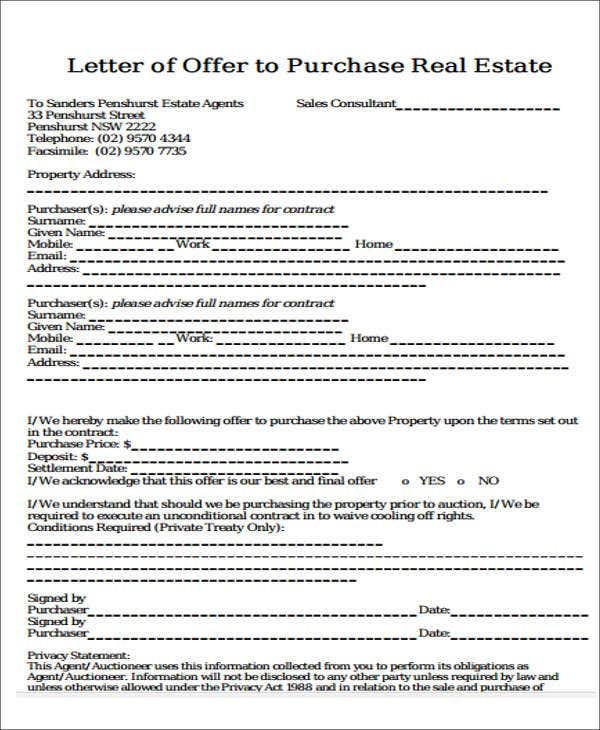 This type of letter is used to document the agreements you have discussed before the actual purchasing of a property. This letter will ensure that misunderstandings between parties will be minimized further down the line. 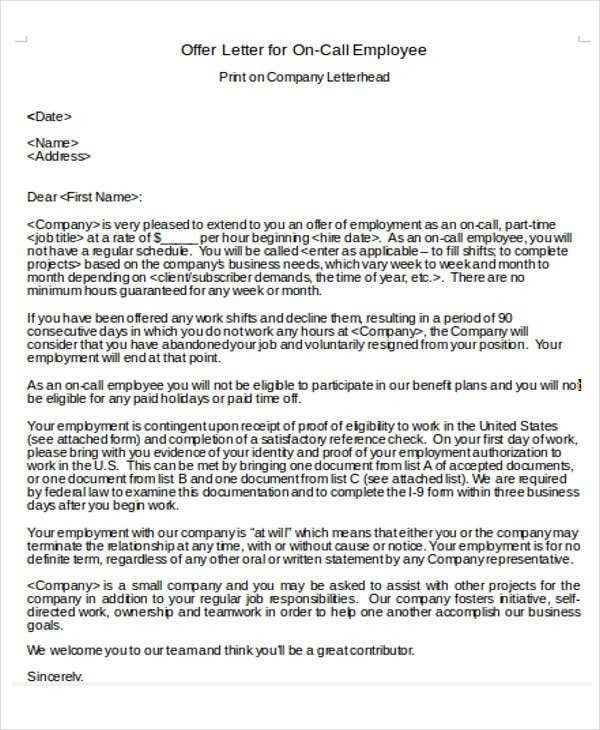 Simple job offer acceptance letter. 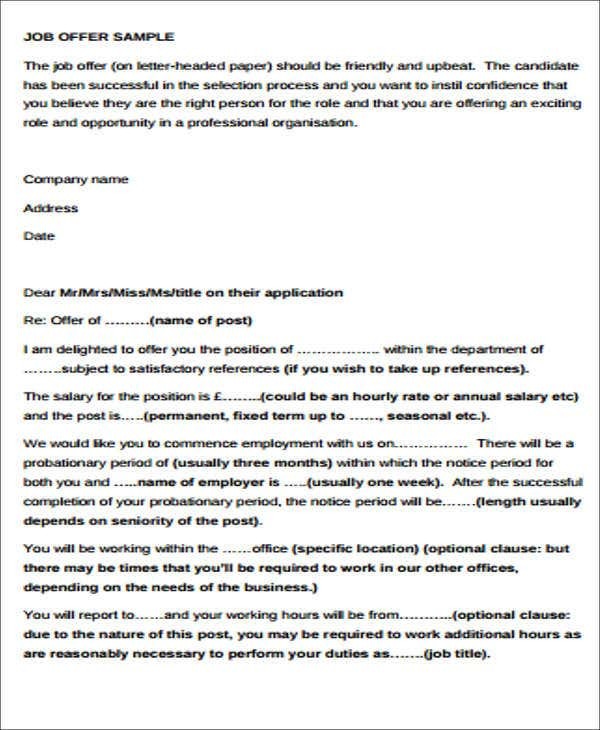 This is the letter for accepting or further negotiating an offer that a company has accorded to a potential employee. 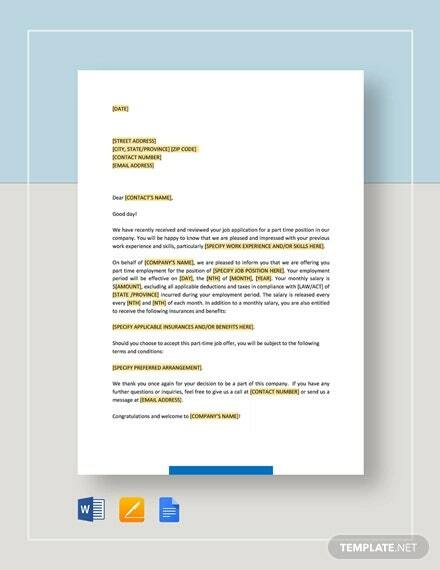 Offer letters are important, just like any business letter, because it serves as the formal method of communication between two parties. Details in this letter will be used for reference for future agreements until both parties have found common ground and ultimately settle on their final decisions. Offer letters will also serve as vital pieces of evidence, just in case legal situations will arise connected to the two parties and the details that have were established in the letter. Criticisms regarding the agreements are always possible to arise even after the letter has served its purpose and a copy of this document will be used to support statements. 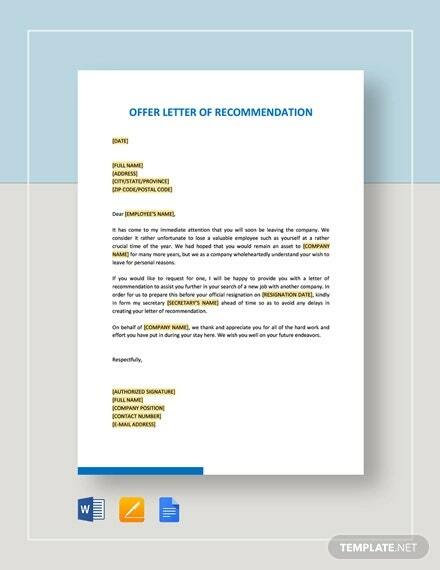 If you aren’t sure how to start writing your offer letter, we have got you covered with our massive collection of offer letter templates. By going through our templates, you will get a feel of which one has the appropriate tone to complement the feel of your message and our templates conveniently formatted. All our templates come in no extra charge and are editable so you can use your own words and make the letter more personalized. You can even save your letter in PDF format. 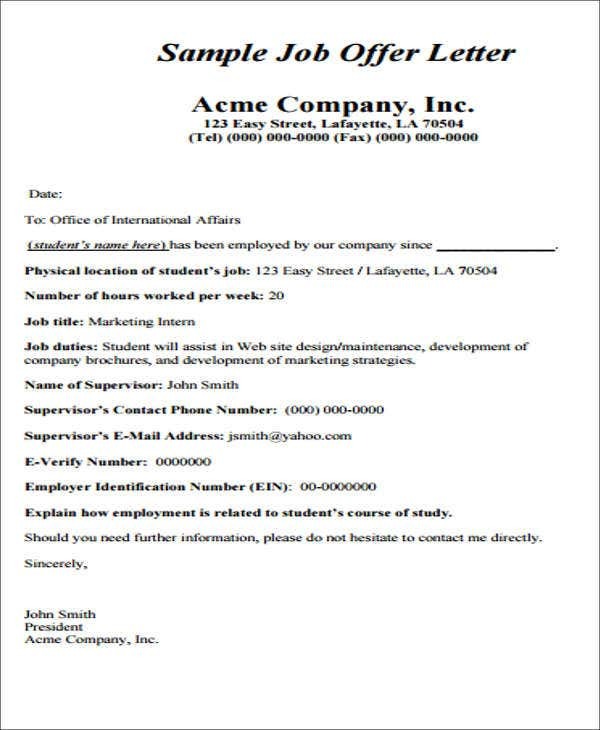 For more available templates, check out our Acknowledgement Letter Template section to suit your formal correspondences.